Home ownership can be a true joy. The thought of holding your very own keys in your hands and being able to point and say “That’s my house”. That’s until it’s time to pay property taxes. The average property tax in California is $3100 per year whereas in places like New Jersey and Connecticut, it ranges from $5,000-$7000 per year. This is undoubtedly not one of the joys of home ownership. no reason not to find out the different ways in which you could save. If you are searching for ways to legally reduce your property tax bill, the ideas we share in today’s post will give you pointers in the right direction. A simple Google search for “local or county tax office” and the name of your city will give you the list of appropriate offices in your local area. Once you have collected that information, call or visit one of these offices and ask them about what your options are when it comes to reducing your property taxes especially if you believe you might be paying too much. This truly is a situation of “if you never ask you will never know”. Once you ascertain all the options available to you, you can then go ahead to implement the ones that will save you the most money. NOTE: Local government offices are notoriously underfunded and understaffed which means that if you choose to send an e-mail it could get lost. Calling or booking a physical appointment is more likely to yield you productive results. For most people, the #1 driver of their property tax is the value of their home. Other than a few small “flat taxes”, the largest portion of property taxes is a percentage of the value of the home – say 1%. It’s important to note what the the county or city thinks your property value is, and what you think the value of your property is. Get a copy of your home’s current assessment record from the County Assessor’s Office. This will potentially give you further grounds to save on your taxes. Being in the know of how your local government assesses properties in your locality is extremely useful as well. For instance, in some states property tax is based on a capped percentage on the purchase price of your home while others have been known to raise or reduce your tax bill based on fluctuating market prices. Finding out exactly how that number is calculated will help you determine if you are paying the right rate or not. Another way to find out the true value of your property is if you’ve recently had an appraisal done. For example, maybe you recently refinanced your home and you have an updated appraisal from your bank. This can be a great tool in helping you understand the current value of your property. It is likely that this might be one of the options that will be presented to you by the local/county tax office. The sad truth is that, sometimes the County Assessor’s Office, the people who appraise and place a value on homes and properties, are woefully understaffed and yet are responsible for the whole county. Being busy like that also means that the probability for errors to have been made when the property was first appraised is very high. It is also possible that a neighbor of yours who has a much bigger/more expensive property than yours may even be paying taxes lower than yours as a result. This is where you can begin to appeal your current tax bill. Every local tax office will handle tax appeals differently. In general, it will work along the following lines. An appraiser may be sent to your home to come and re-appraise your property taking similar properties around you into consideration. You can exercise your power here by walking the property with the appraiser to make sure they get everything right. 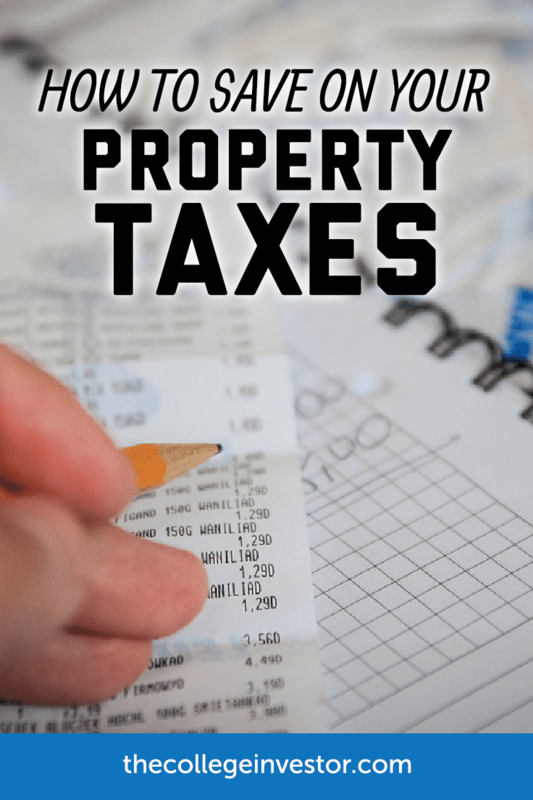 If it does happen that your home was incorrectly appraised and as a result you are paying higher taxes, this information will be communicated to the County Assessor’s Office and steps to reduce how much you are paying on property taxes can be processed from there. If you are owed a refund as a result of over-paying, you will receive that from your local/county tax office as well. You don’t need to ask your neighbors what they are paying for property tax. You can find property tax information for your home and properties similar to yours using information from the county tax office. If your research shows that you are paying considerably more than properties around you that have similar characteristics, you can arm yourself with this knowledge to further push your appeal. You can also use real estate websites like Zillow, Trulia and Redfin to find out what homes similar to yours have sold for in the last 30-90 days and the taxes they are paying to gain a good idea of what you should be paying. States and local governments have different property tax breaks if you are a senior citizen, a veteran, active military , disabled or experiencing severe financial hardship. You may have to file the necessary paperwork to prove that you fall into one of these categories but it is worth it. Other states and local governments will also give you a tax break if you use alternative sources of energy for your home such as solar power. These are all the steps you can take to lower your property tax bill and pay the taxes you have to pay and nothing more than that. While you take these steps it is important to remember that you will still need to pay your taxes for the current year while you research and appeal your case. It is also important to note that if you do decide to appeal, it could take 1-2 years for that property tax bill to come to its’ correct level. We do think it is worth the fight regardless because it will save you from 10, 20 or even 30 years of overpaying in taxes when you could have put the money towards investments. Have you ever been able to successfully lower your property taxes?